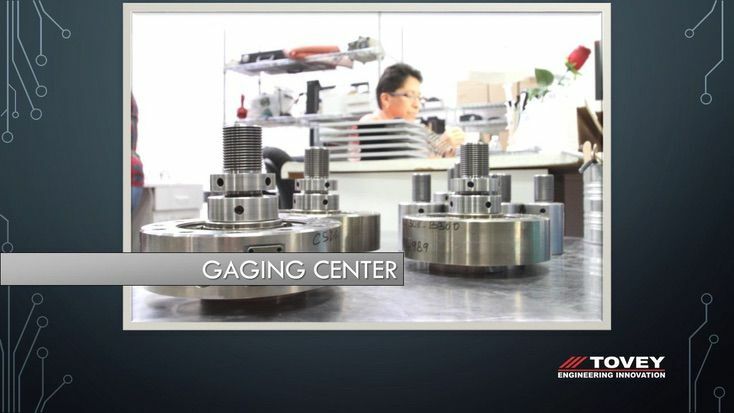 Tovey Engineering manufactures force transducers and force calibration systems with industry leading accuracy and reliability. We focus exclusively on test measurements, materials testing, and metrology markets, offering a variety of standard products, special transducer designs. and advanced engineering services to meet customer requirements. Our standard force products are used for research and development, material testing, creep and fatigue testing, component testing, sub-assembly testing and final assembly testing. A range of product measurement uncertainties are available to meet everyday requirements up through high performance applications. 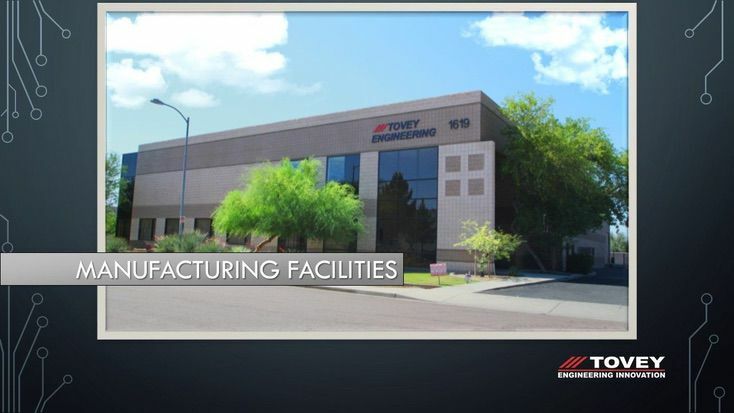 Tovey's mission is to support high-end engineering R&D and test of auto, aerospace, and other customers and to function as a critical resource for commercial and military metrology labs. Tovey Engineering manufactures force transducers from 1 to 1 million lbf with industry leading accuracy and reliability. Tovey’s standard shear web line is built to the industry’s tightest non-linearity, creep, and other specifications. Tovey's metrology grade CS load cell line reaches the industry’s lowest ASTM “lower limit factor”, based on measured performance. Tovey offers a variety of column-style and shear web load cells for high capacity applications. Products can be readily customized to meet special customer requirements. 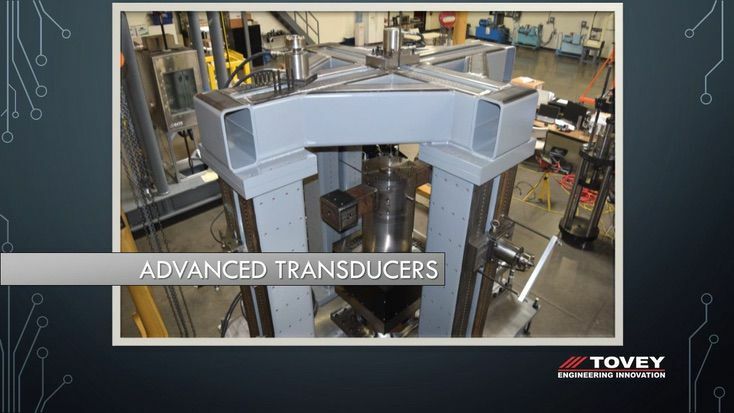 Tovey’s advanced transducers are incorporated into some of the world's most advanced test systems, constituting the heart of the measurement portion of those systems. 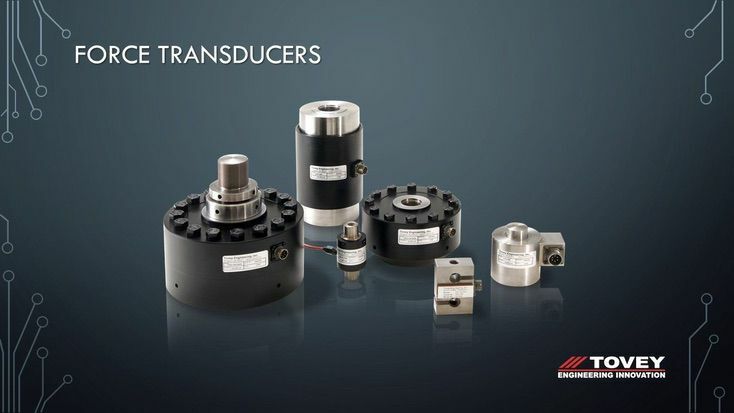 Special transducers conforming to specific customer configuration requirements have met stringent creep, non-linearity, hysteresis, moment sensitivity, and temperature sensitivity. On different special projects, Tovey transducers have achieved creep of < 0.005% of full scale (in 20 minutes), hysteresis of < 0.01% of full scale, sensitivity to moment loading of less than 0.01%/inch, non-linearity in multi-axis cells of less than 0.015% with < 0.1% cross-talk, and similar. 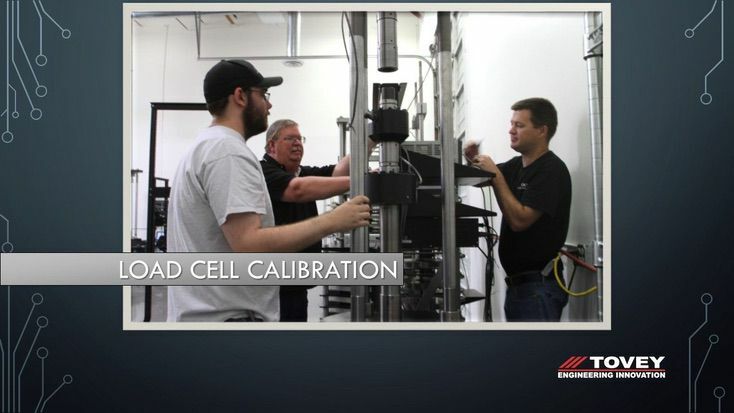 Tovey offers both automated transfer-standard and deadweight force calibration systems. TEI systems have been engineered over the last 20 years to achieve very low uncertainties with maximum ease-of-use for cal lab personnel. Automated system measurement uncertainties are as low as 0.025% of reading, with Tovey systems also covering wide load ranges. 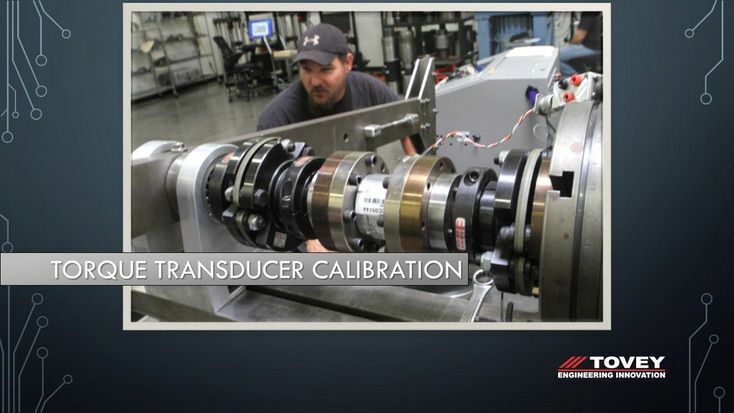 Tovey also manufactures custom calibration systems for advanced transducer calibration. These include multi-axis load cell calibrators, systems for oversized load cells, systems permitting environmental control, and other applications. Using the same high quality load frames that are machined and built for customers, along with some of the most stable and accurate instrumentation available, Tovey Engineering is able to perform consistent load cell force calibrations. Highly stable standard load cells calibrated by NIST to the industry’s lowest “lower limit factors” are used in Tovey load frames to yield calibrations that meet the tightest specifications. Tovey Engineering offers accredited force transducer calibration from 1 to 1 million lbf. 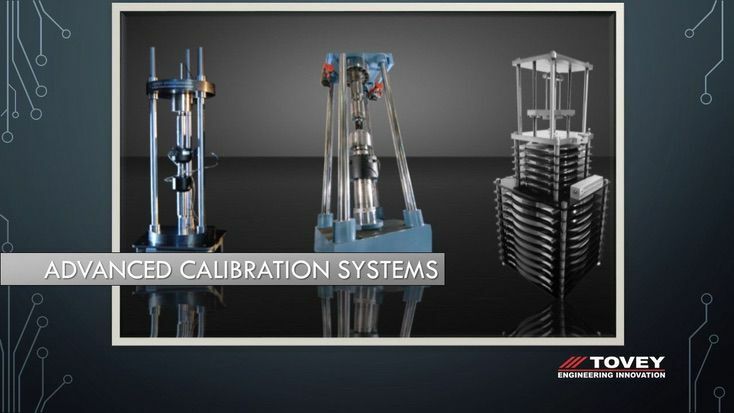 Force calibrations are performed in compliance with ISO 17025 requirements (under NVLAP Lab Code 200662-0), and meet the requirements of NIST Handbook 150, ISO/IEC 17025 and ANSI Z540. Tovey Engineering offers accredited torque calibration from 1 to 100,000 lbf-in. 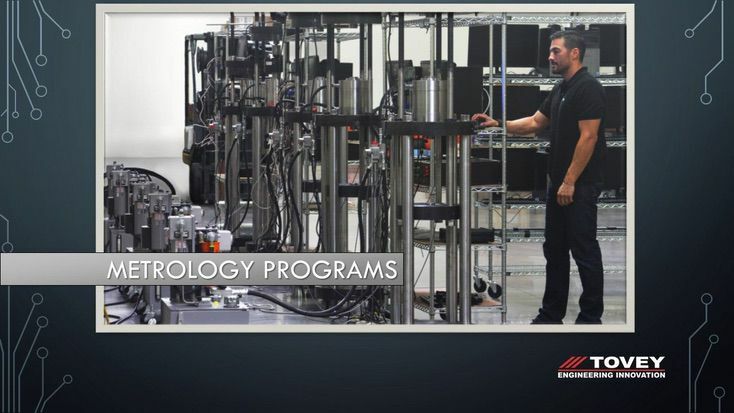 Metrology is one of Tovey’s top markets, and our load cells, indicators, software, and systems reach the industry’s lowest measurement uncertainty levels. Tovey Engineering is the leading supplier of load cell/instrument kits to the US military. 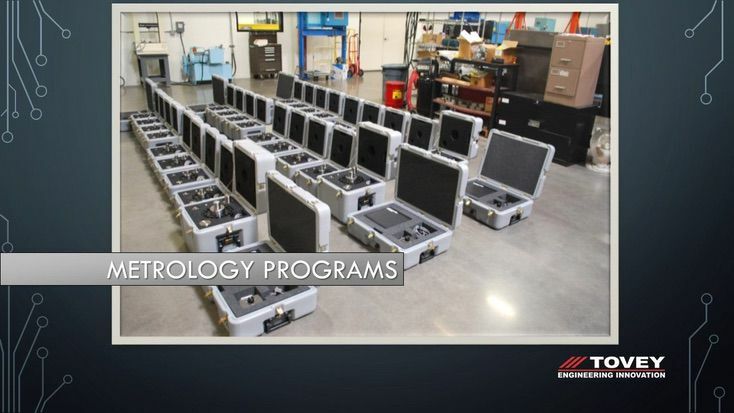 Above: Six of the load cell/indicator kits to a military customer, part of a project involving 84 kits. Tovey is the leading supplier of automated force calibration systems to the US military, with systems achieving total measurement uncertainty of 0.025% of reading across wide load ranges. Above: Compression style transfer standard systems for a military customer, part of a project involving 31 systems. 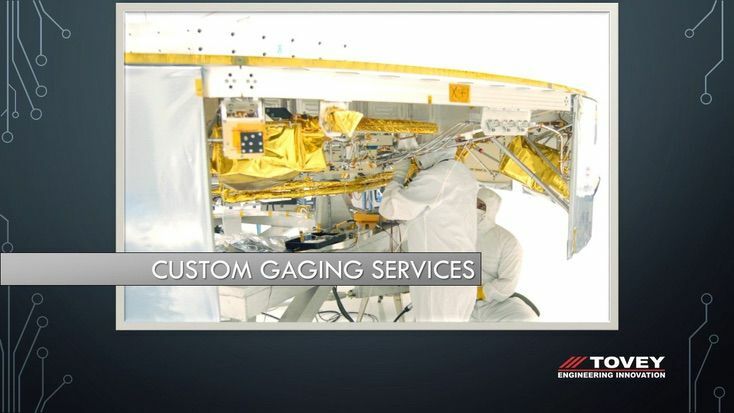 Tovey Engineering offers strain gaging services to the industry including engineering the project, installing strain gages, wiring the circuit, installing appropriate protective coatings, and testing for function. Tovey will perform services in our facility when possible or do field installations when necessary. The same standards and methods used for Tovey transducer manufacture are used in component gaging, resulting in high quality, reliable strain gage installations. Above: Tovey instrumenting the cruise stage of the Mars Rover. Tovey Engineering calibrates instrumentation using high accuracy and high precision reference standards with direct traceability to NIST. 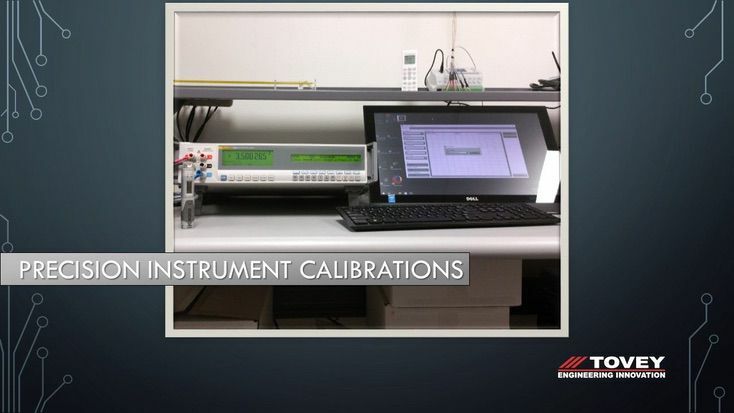 Proper characterization of calibration transfer errors, as well as comparison calibrations with NIST and other metrology labs at all levels, allows Tovey Engineering to perform uncompromising and repeatable calibrations that can be trusted. 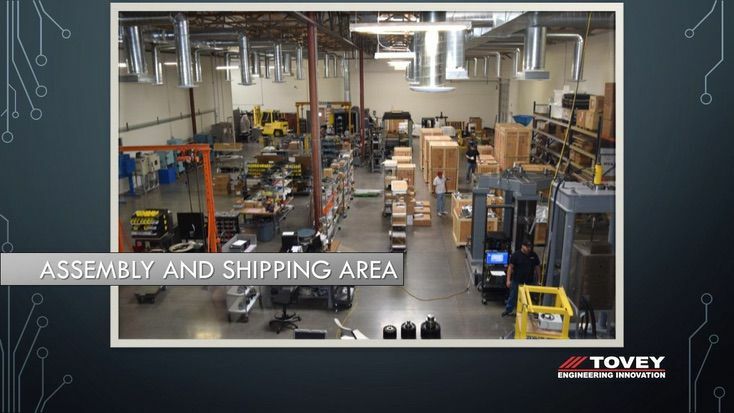 Tovey operates from two facilities, an 18,000 SF office/manufacturing center and a 12,000 SF CNC machine center. Tovey manufactures all load cell and system components in-house, for close quality control and to meet exacting standards and short lead times. 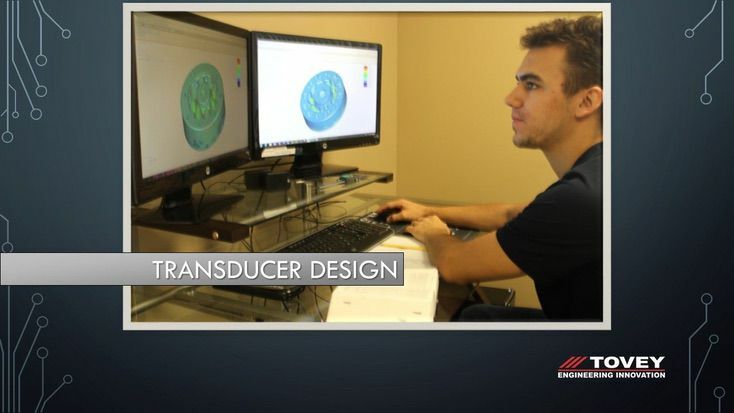 High performance special transducer designs can be rapidly prototyped (with integrated design, finite element analysis, and manufacturing software), then tested and verified at a high level. 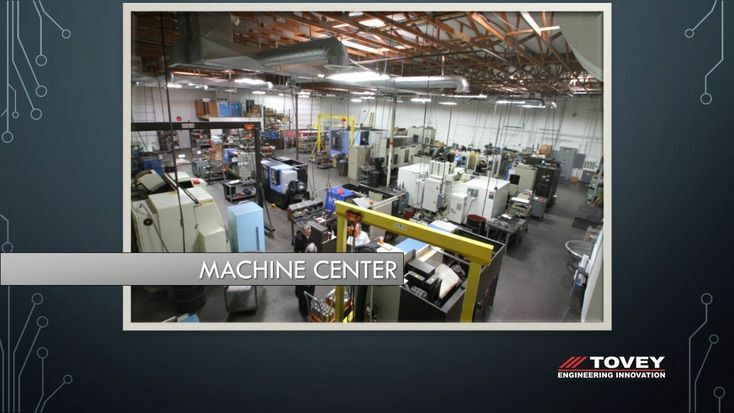 Tovey’s machine center includes 13 CNC machines, including state-of-the-art lathe and milling machines. All Tovey load cell flexures, machined system components, adapters and similar parts are machined in-house in the machine center. Tovey transducers incorporate significant know-how related to strain gage application that is critical to part performance. 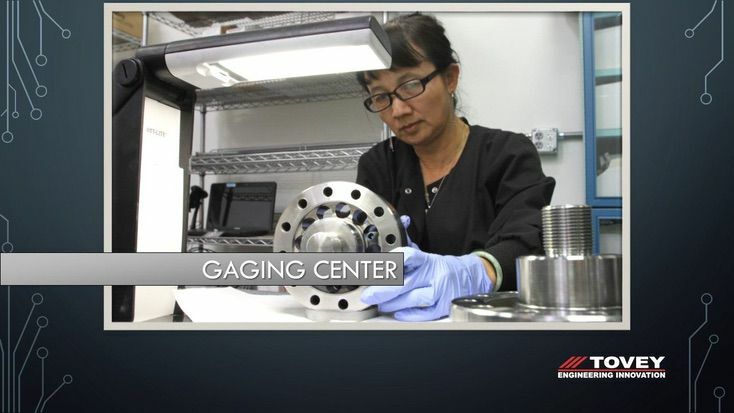 Skilled gaging staff support Tovey’s standard product, as well as performing on-site and custom component strain gaging. 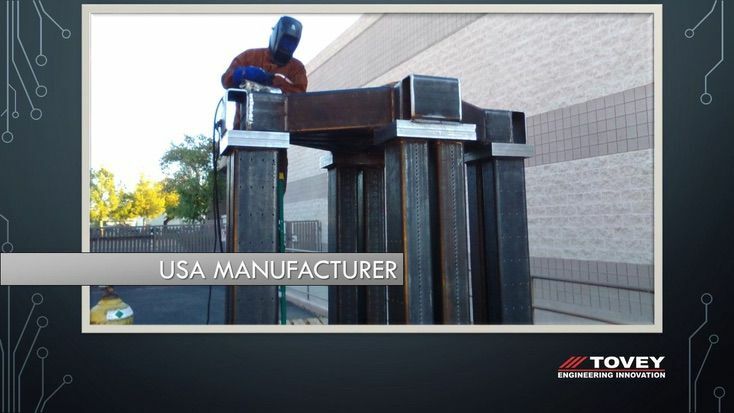 Tovey products are built from the ground up right here in the USA. 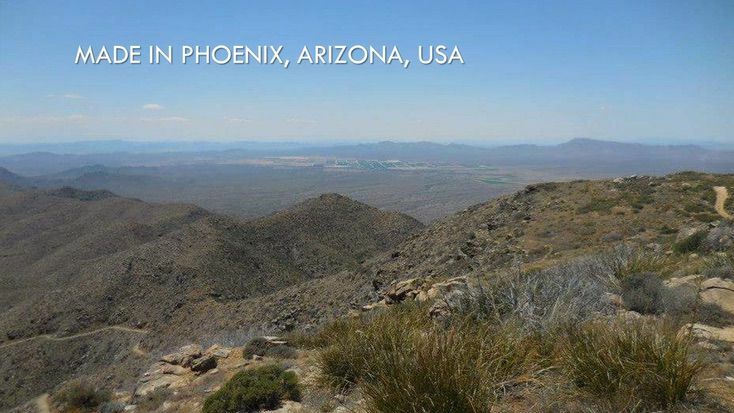 Tovey Engineering is located in sunny Phoenix, Arizona. Great for outdoor activities and high performance transducers.